Historic frog flight!! Kermit lost in space. Stop me now! 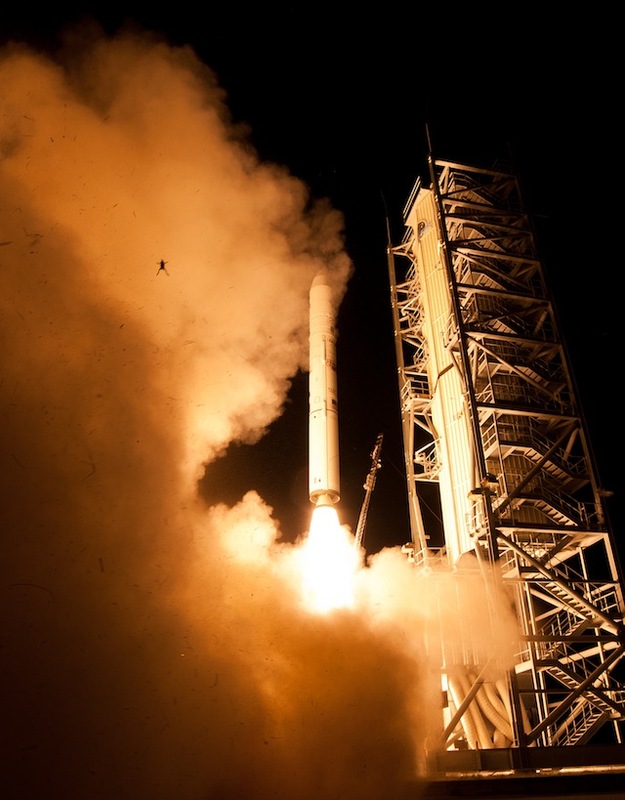 The above image of a frog flying through the air (see two-thirds of the way up, on the left) during the launch of a Minotaur V rocket on Sept. 6, at the Wallops/Mid-Atlantic Regional Spaceport in Virginia has been confirmed as an actual photo taken by one of NASA’s remote cameras, according to Universe Today. The site stated that Wallops spokesman Jeremy Eggers confirmed the picture is legitimate and had not been altered in any way. As to the question of why a frog would be in a launchpad to begin with, the Wallops Spaceport has a “pool” for the high-volume water-deluge system that is activated during launches to protect the pad from damage and for noise suppression. “… likely there was a (formerly) damp, cool place that was a nice spot for a frog to hang out,” Universe Today opined.